With the recent sad news of the passing of Margaret Thatcher, the aptly nicknamed “Iron Lady” who was renowned for both her resilience and her aggressive style of leadership during her time as Britain’s Prime Minister, it seemed only fitting to consider the many ways the Iron Lady can pass lessons down to the rest of us. While it is easy to focus on her political acumen, her public speaking skills, and her no-frills approach to diplomacy, the amount we can learn from Thatcher as a model for entrepreneurial leadership is striking as well. So, in honor and tribute of Margaret Thatcher and the leadership and managerial traits she demonstrated so fully and deftly during her time as Prime Minister, I’d like to take a closer look at how the Iron Lady can be a model from which we can all learn some effective strategies and methods with which to run our own businesses. First, I’d like to consider the personality characteristics that came to define Margaret Thatcher’s leadership style so completely, both during and in the years since her tenure as Britain’s steward. 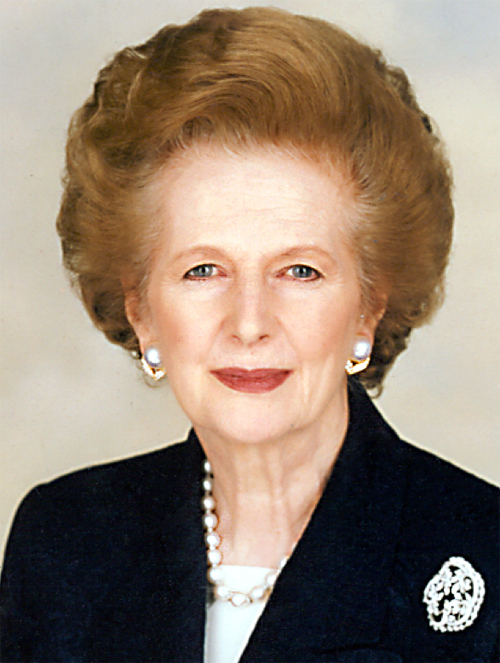 Perhaps the most defining characteristic of the Iron Lady, present throughout her rise to become Britain’s first female leader, was an unwavering and unapologetic devotion to the ideals and practices Thatcher believed would be the key to removing Britain from the economic stagnation that had plagued the country essentially since the end of World War 2. As Thatcher was coming to power, she recognized that the overregulated and inhibitive nature of Britain’s economic policies were severely restraining the abilities of businesses and individuals alike to adapt their business models to challenge international rivals, as well as domestic ones. Thatcher was steadfast in her beliefs that removing limits and inhibitions on free market capitalism would stimulate Britain’s economy, and she stuck to this belief even despite initial slow economic movement that caused doubt to rise in her leadership. However, after just a few years at the helm of Britain’s government, economic relief in the form of growing business development and greater freedom for market growth helped revive Britain’s economy and confirm the veracity of Thatcher’s claims. There are two aspects to this particular segment of Thatcher’s tenure that we can especially take away and apply to our own practice as entrepreneurs. The holistic lesson we can take is the practice of focusing on long-term growth while resisting reactionary decisions, especially in the face of the hyper-active news cycle and reactionary tendencies of today’s hyper-connected world. While Thatcher stood fast to her positions, despite criticism, long enough to demonstrate the merits of her practices of deregulation and increasing the ability of the free market to adapt and innovate, we know today that criticism would have been ramped up even further by the 24 hour news cycle. Nevertheless, as many entrepreneurs know, economic trends and sea changes resulting from sweeping policies like removing restrictive regulations are not an overnight change. Sticking true to our ideals and long-term focus, even in the face of withering criticism, is an essential trait for any entrepreneur. Instant success is an absolute rarity when creating a new business or venture (yes, we’ve all seen The Social Network. But Hollywood has a penchant for leaving out the 99.9% of other startups that never see that kind of rapid success and fame). As such, developing a coherent and proactive long-term plan for one’s business, and then ensuring that everyone in your business (large or small) buys in for the long-term, is something we can look to the Iron Lady’s tenure to see the merits of. Of course, in an economic sense, we can also identify the second lesson of Thatcher’s early tenure, which serves as strong evidence of the benefits of removing damaging market limits and excessive bureaucracy in order to stimulate innovation and growth across market sectors. 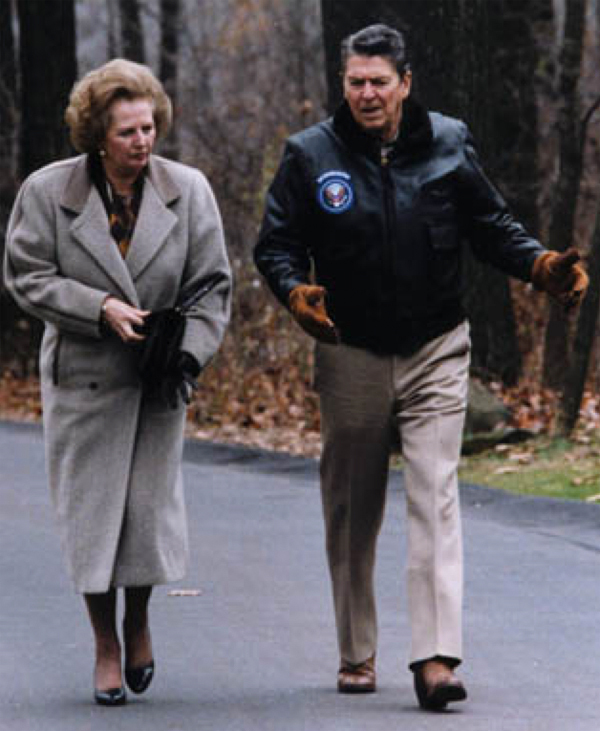 While opponents, both domestically in Britain as well as across the pond here in the United States, lambasted Thatcher (as well as her peer here in America, Ronald Reagan) for their dedicated focus on removing damaging restrictions from the market, the clear economic recoveries in both countries serve as profound evidence of the merits of allowing fair and open competition. As an entrepreneur, I know that one of the most frustrating things to deal with when attempting to grow a venture comes in the form of regulations and bureaucratic limits that cost a business valuable time and money. All entrepreneurs know that, when in the early stages of a new venture or start-up, losing money and time dealing with regulations and bureaucratic hurdles can be the type of drain that dooms many start-ups in a market that already provides a series of built-in challenges (whether established competition or regulatory hurdles) to successful new ventures. Margaret Thatcher deftly recognized that this type of environment was exactly what was limiting Britain’s economic growth, and moved swiftly and decisively to correct the situation. As such, critics of her policies were left aww-shucksing when Britain’s economy entered an unprecedented stage of growth early in her second term as Prime Minister. Alongside this growth, however, arose the Falklands Island conflict in 1982, which also serves as another place to take a lesson from the Iron Lady as an entrepreneurial leader. Every entrepreneur knows that no matter how proactive and organized your business may be, you must expect to be ready to deal with curve balls from unexpected places that can threaten to derail the momentum of your venture. Thatcher experienced this in the form of conflict with Argentina over the Falkland Islands, precisely at the time her economic policies were beginning to come to fruition. Deftly, she rallied Britain to the cause of protecting its interests from infringement, and decisively decided the conflict in her country’s favor. We can use Thatcher’s handling of the Falkland Islands conflict as an analogy for handling unexpected competition to our personal ventures. As soon as Argentina infringed on Britain’s territory, Thatcher immediately and decisively pivoted to deal with the challenge, diverting Britain’s undivided attention and resources to deal with this challenge. While doing so, Thatcher also shrewdly made a decisive effort to focus the international community’s attention on the conflict as well. As such, once Britain deftly handled the Argentinian incursion, the whole world was served notice of Britain’s return to global power. This can be applied to entrepreneurship in two ways. First, dealing immediately with rivals and infringements into market segments is essential for entrepreneurs. Allowing rivals, even those with smaller resources and seemingly low chances for success, to challenge your business for resources and customers is a bad habit to get into for any business leader. Secondly, making sure the rest of the market sees your successes and victories over competitors is the best way to build market trust in your brand or company. The world lost a great leader and role model when Margaret Thatcher passed away recently, and it is a fitting tribute to the Iron Lady that we take some time to consider how she can inspire us in different ways. Aside from the obvious political lessons that can be learned from Thatcher’s tenure, the entrepreneurial leadership skills she demonstrated are multitudinous; from her personal philosophy in removing destructive limits to market growth and innovation, to her handling of unexpected challenges and media opposition, Thatcher presents a clear personification of the traits we need as entrepreneurial leaders to succeed in our own ventures.